Many visitors stop at bustling Barcelona, or the beautiful sunny Costa Brava, but there's a lot more to Catalonia! 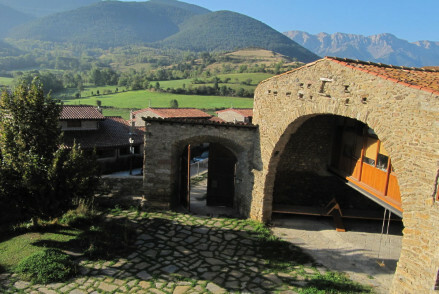 The wild beauty of the hinterland is rich with medieval villages and topped by the Pyrenees. And there is that special Catalan flavour - very different to the rest of Spain. The best places to stay in Catalonia range from luxury castles to Michelin starred foodie heaven to budget B&Bs. There really is something for everyone! Famed for food, art and architecture, Barcelona is obscenely rich with colour. There are so many sites of historical interest you may not know where to start, so many places offering first rate food and drink, and so many unique and beautiful sights to see that it'll be a challenge to plan your visit. It's a Spanish treasure! The largest city in North Catalonia, Girona is one of the best places to stay if you are interested in exploring the region's colourful history as well as its tasty present. It is often thought of as Barcelona in miniature and is only an hours drive to both the Costa Brava and the Pyrenees ski resorts. Catalonia is a vast area, tracing its boundary with France and Andorra through the Pyrenees. Here you'll find dramatic, rugged mountain scenery - a fabulous playground for skiers and walkers, but enough culture to keep less active sorts happy too. Few of us would need more than some photos of the Costa Brava to see that it is stunning. It has all the azure beauty of the Cote d'Azur but at a fraction of the price - it is the same stretch of coastline after all. It also has Dali's heritage, the food Catalonia is famed for and plenty of good snorkelling, golfing, diving and sailing. 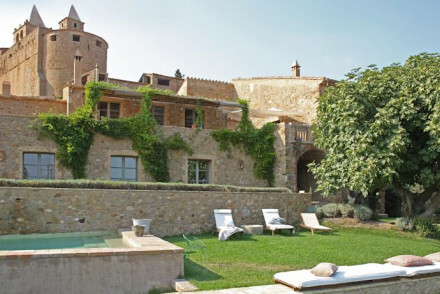 We also have an excellent selection of charming hotels from Begur to Cadaques and beyond. Hotel Market is the perfect place for foodies. The decor is 'no frills' because all the attention is on the menu. It's also very reasonably priced. 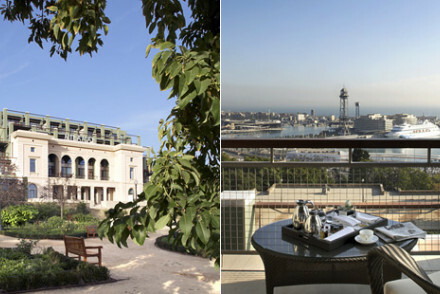 For that roof-top -terrace-view you see in all the adverts for Barcelona, book the Hotel Duquesa de Cardona. As well as the views, this 16th Century nobleman's house has a reputation for really looking after guests. 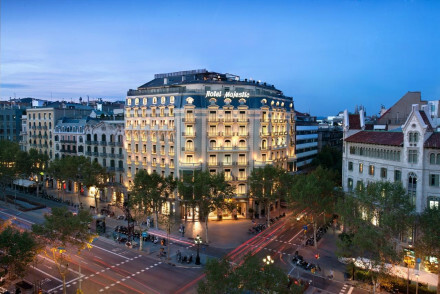 The Grand Hotel Central is classic Barcelona - a large 1920s building renovated with subtle minimalism and style, a two Michelin starred restaurant and celestial views from the roof terrace. 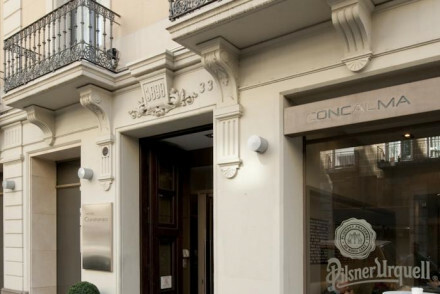 In a great central location, the Hotel Granvia is a newly-refurbished and now palatial property. There are 58 contemporary rooms, a gorgeous terrace and plenty to see and do just outside the hotel’s doors. 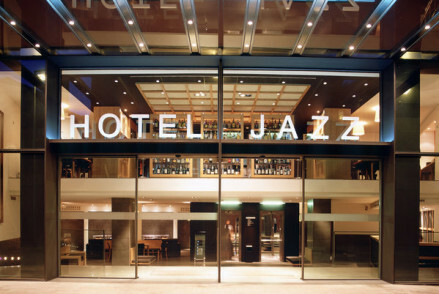 The Hotel Jazz also has a great location - this time close to La Boqueria. The name comes from the Jazz Bar on the eighth floor of the hotel. There are around a hundred rooms with a minimalist design plus a great rooftop pool with amazing views. 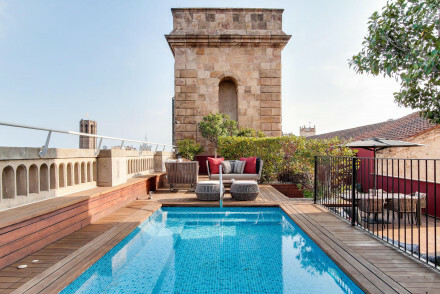 Hotel Claris is a grand Barcelona institution with an extensive art collection and rooftop pool and terrace offering you the whole city to view. 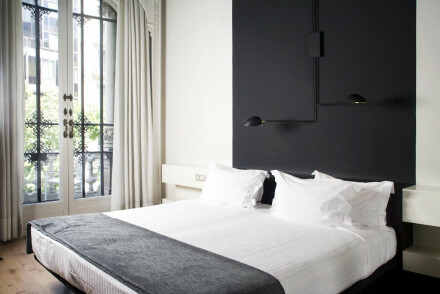 The Mercer Hotel is a forward thinking design hotel with 27 rooms in the Gothic Quarter just five minutes from the cathedral and ten minutes from Las Ramblas. The rooms and suites are carefully decorated and feature exposed stone walls, glass partitions, stand-alone baths and modern art. There’s a stunning rooftop bar and tapas restaurant. A 'restaurant with rooms', the simply decked out Hostal Sa Rascassa has been named the best hotel in the world - twice. 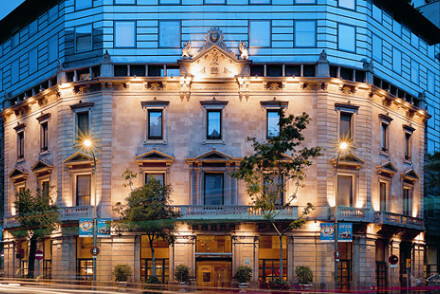 If you're in the mood for romance book the Hotel del Teatre. Relax in converted farmhouses with views over the Mediterranean landscape, soak up the sun on nearby beaches or round the pool and luxuriate in the flavours of the hotel's restaurant. 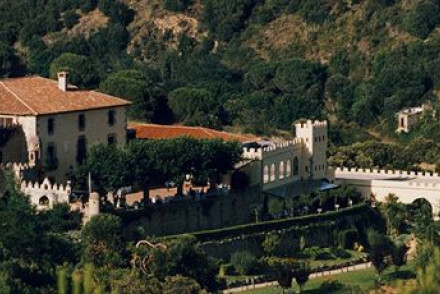 L'Hort de Sant Cebria is within the 'Dali triangle', between the region's three major museums and galleries. This is our recommendation if you're looking for a country house hotel type experience, but with a Catalan twist. Named one of the best hotels in the world, twice, and probably because of its restaurant, Hostal Sa Rascassa is perfect for foodies. The five rooms are simple and fresh, as is the restaurant's decor. It is right on the beach, so as well as spectacular food, this hotel is the one to book if you want spectacular views pretty much all to yourself. 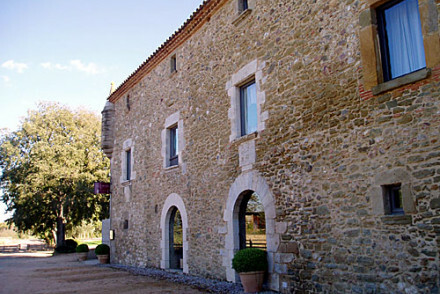 For something truly special reserve a room at the Castell d'Emporda. 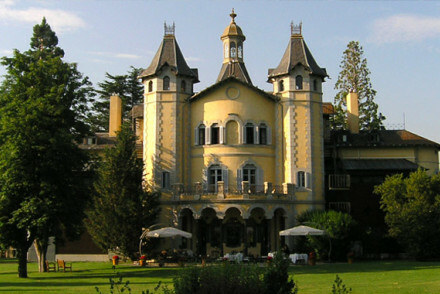 Sleep in a wonderful castle surrounded by vineyards, herb gardens, a wonderful glass fronted restaurant and perfect pool. This luxurious historic home has been updated to tick the boxes modern day luxury requires making it one of the most luxurious properties on our list. 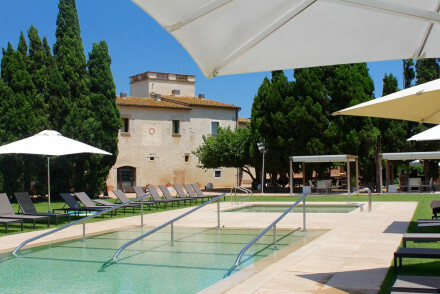 For something truly special the Castell d'Emporda should fit the bill. Sleep in a wonderful castle, surrounded by vineyards & herb gardens, enjoy a wonderful glass fronted restaurant and perfect pool. If you're travelling with a small group or a large family, the Casa Migdia is ideal. It only has five rooms so you can rent the whole colourfully, and ethnically, decorated place out. 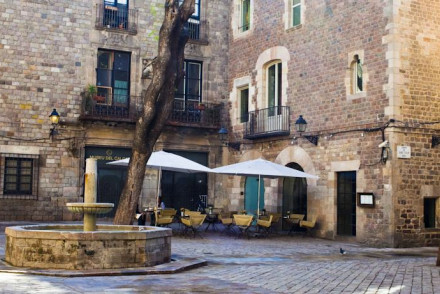 Just steps from the cathedral door, the Hotel Legends de Girona is a chic, but characterful hotel with 15 romantic rooms. The floors are parquet and the walls are stone, there’s lots of character and a warm atmosphere. The Hotel Historic is a gorgeous collection of 15 rooms and apartments in a beautiful historic building in the heart of town just 100metres from the cathedral. The chic interiors are sunny and beautifully furnished and some have private balconies. Mas Carreras 1846 is an exquisitely restored country home in the Baix Empordà countryside just outside Girona with eight elegant rooms and antique-chic decor. Lots of original features plus rolling gardens, an outdoor pool and sun terraces. 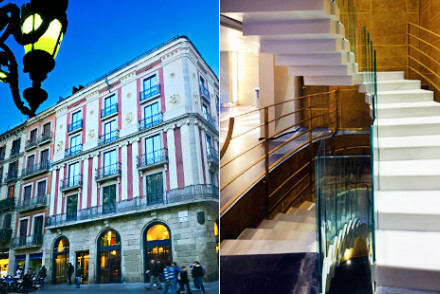 Barcelona’s Hotel Neri is a 17th century palace beautifully and sympathetically converted into a contemporary 22 room hotel. 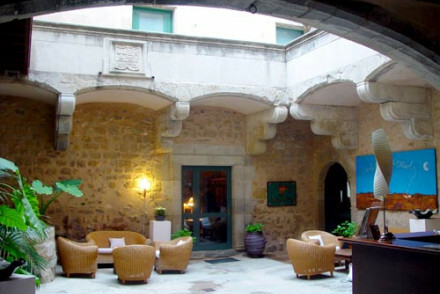 Located in the Gothic Quarter, the hotel has a fashionable restaurant, terrace bar and library. With 125 rooms, El Palace might be a bit too big for some people’s classification of a boutique hotel, but if you focus on the decor and the atmosphere then it certainly qualifies. The hotel dates from the 1920s, which is also where the decor puts it. With elegant chandeliers, plenty of art and objets d’art there’s also a luxurious modern spa and all the state-of-the-art technology you might need. Plus a Michelin starred restaurant. 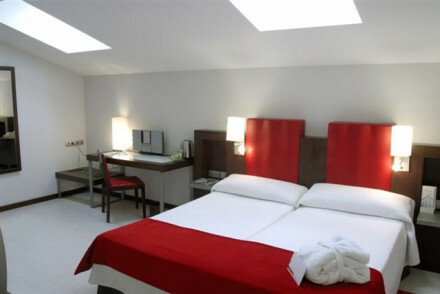 If you prefer your decor modern then the Hotel Ciutat de Girona is a great value option in a great location. There are 44 rooms, from singles to family-sized, and an indoor pool, bar and restaurant. Rooms start from less than £90 per night. 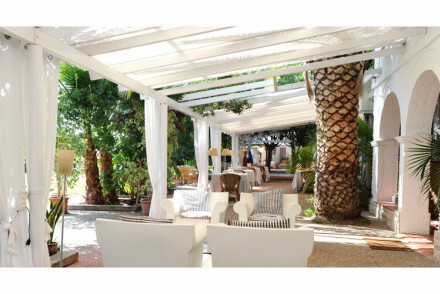 The Hotel Restaurant Aigualclara with its excellent, reasonably priced restaurant and super central location is one of the best places to stay on the Costa Brava for families. With only eight rooms it's a relatively private setting for your family holiday and with kid's activities on site, it couldn't be easier. Starting from less than £60 per night, this is also a good spot for travellers seeking a bargain. 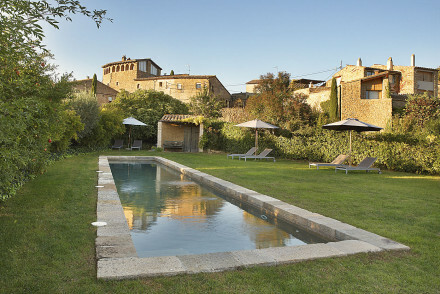 Girona’s Bellmirall is a seven room B&B close to the cathedral and the Musee d’art. The rooms are small but charming, with parquet floors and stone walls. There is a lovely terrace where breakfast is served. Rooms start from around £40 per night. 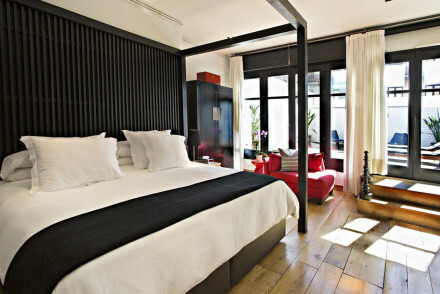 The Park Hotel is situated in Barcelona’s El Born area and has a highly recommended restaurant. Here you can pick up a double room from as little as £62 per night. 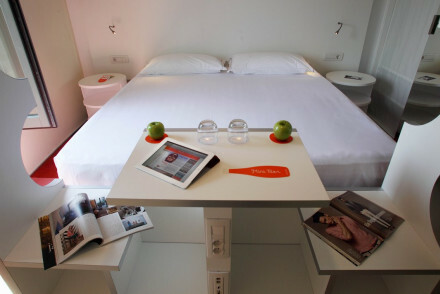 Or Barcelona’s Room Mate Emma offers futuristic minimalism just steps from trendy shops and attractions. Doubles can be booked from just £66 per night. 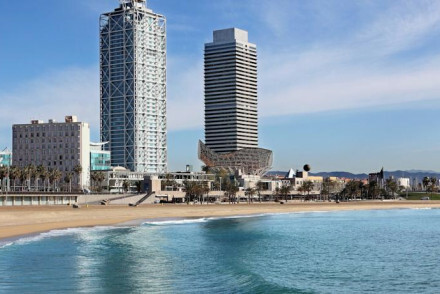 There are three airports in Catalonia which have international connections, Girona-Costa-Brava Airport, Barcelona-El Prat Airport and Reus Airport, which is close to Tarragona and the popular resorts of Cambrils and Salou. The region also has a train network which is well connected to the rest of Europe. If you want to hire a car - which we strongly advise if you’re staying in Catalonia and want to see as much as possible of the region- we recommend you visit our online partner Rentalcars. Catalonia is a big and varied region, but broadly speaking the most popular time to visit is summer. However if you want to avoid the crowds, but still enjoy the good weather, the best time to visit is probably just before or after the main summer season. Consider the best places to stay in Girona? Or the best places to stay on the Costa Brava? Polished and chic, this townhouse with rooftop terrace and views to the port of Barcelona. 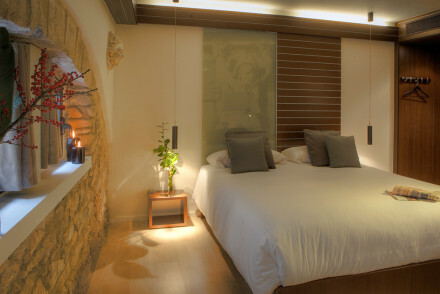 Contemporary rooms decorated in wood, stone, and natural colours offer a great place to rest your head. 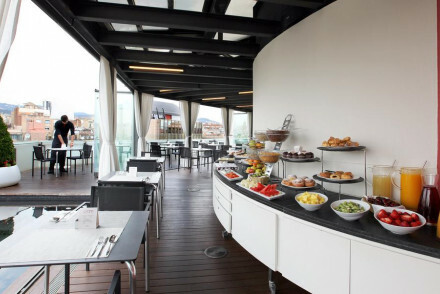 Enjoy Catalan dishes at the lively rooftop restaurant. Relax at the pool or head to the nearby harbour. Sights nearby - The hotel overlooks Port Vell. Enjoy a stroll around the harbour. Swimming Pool - Rooftop with bar/restaurant. 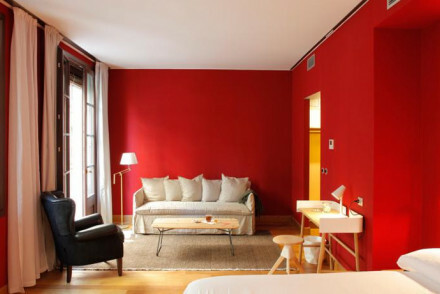 An intimate B&B in Girona, close to the Cathedral and Musee d'art. Charming rooms have parquet floors and stone walls. Lovely breakfast terrace and walking distance to restaurants. A great choice for those on a budget. Sights nearby - Located in the centre of the old town just 100m from the cathedral. 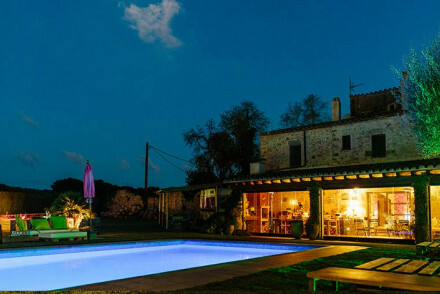 A charming hotel in a restored Catalan farmhouse. Unique rooms are contemporary yet full of character, with antiques, coloured walls and original features. Outdoor pool, fragrant garden and cosy lounge area. A lovely choice for a laid-back weekend visiting beaches and vineyards. 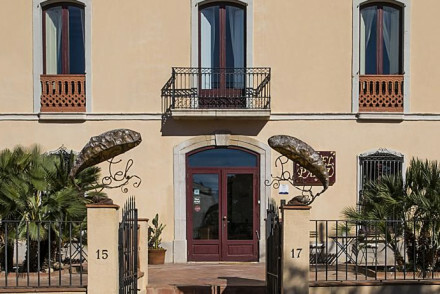 Charming colonial house turned boutique hotel in the heart of Sant Pere de Ribes. Large, light rooms have all the original features with tiled floors, ornate ceilings and South African ornaments from voyages of old. Enjoy the peace and quiet of the garden and take a cooling dip in the pool. Local markets - Get a real feel for life in the Catalan region and head down to the local markets every week. Kayaking - River or sea - rent a kayak and enjoy the turquoise waters. 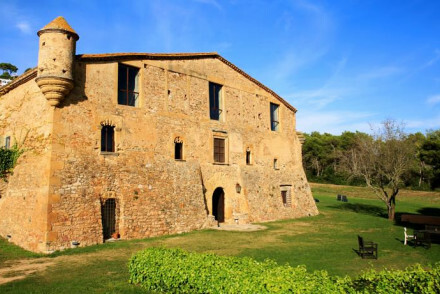 Sights nearby - Explore the picturesque village Sant Pere de Ribes. Great walks - Along the Costa Brava seashore. A charming little hotel in the historic centre of El Perelló. 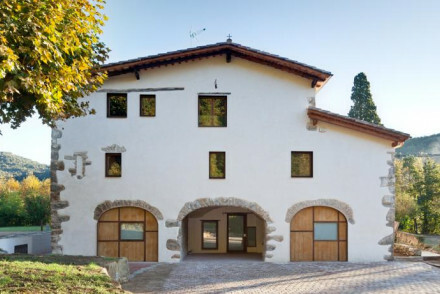 A former olive mill now a rustic B&B. Traditional rooms have wooden beamed ceilings, stone walls and iron bedsteads. Good breakfasts, walking distance to restaurants. Excellent value, perfect for local exploring. Remote but sublime location in the hills away from the Costa Brava. Simple but extremely comfortable rooms and an infinity pool with one of the best views imaginable. Come here for total relaxation away from the madding crowds of the Costa Brava. While this chic boutique prioritises its cuisine over the hotel factor, it nevertheless inspires with its elegance and no frills decoration. Positioned just outside the old city walls it leads the way in an increasingly hip quarter of the city. A cool, less mainstream destination for foodies. A simple hotel with contemporary rooms minutes from the beach with stunning sea views. Excellent fish restaurant, family friendly, and great value for money. An ideal choice for a beach holiday and walking distance from bars and restaurants. Views - Stunning sea views. 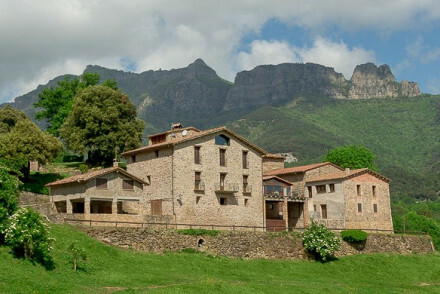 Set in wonderful Catalonian countryside, Cal Calsot is a charming rural hotel. The rooms are beautifully minimalist with exposed beams and stylish furnishings. The property is surrounded by countryside with scope for adventure, from mountain climbing to trout fishing. Local markets - Visit the nearby Mercat Martinet. 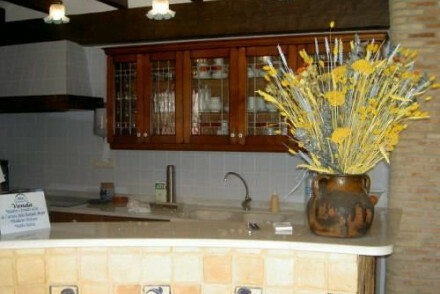 This five-bedroom cheerful guesthouse is perfect for families, or for a large group - you can rent the whole house. Colourful decorations bounce off influences from Cuba, India, Marrakech, and Paris. A secluded family setting from which to explore the area. Child friendly - Babysitting on request, creche available, plus kids activities on site - badminton, table football, ukelele. Communal Dining - Communal feasts in the evening - Sebastien used to run a Thai-French restaurant in Paris. Families - The owners have four children. Exclusive use - Available for exclusive use. A spectacular 16th century fortified house, lovingly restored as a boutique country retreat. Each characterful room has its own charms, with exposed wood beams, stone arches and elegant furnishings. Perfectly located to explore the beauty of the Muntanyes de Begur Mountain Range. Sights nearby - Torroella de Montgrí, Figueres, Girona and Perpignan are all less than an hours drive and offer a range of sights. 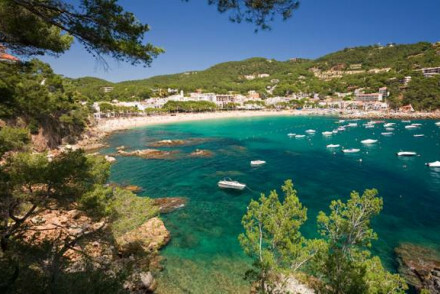 Great walks - Beautiful Costa Brava beaches are within a 10 minute drive and the beaches at Pals are 20 minutes walk. Bright and modern family hotel behind Gaudí's La Pedrera. Junior suites with four-poster beds, original painted ceilings, and bath tubs. Stylish lobby with mezzanine for buffet breakfast. Simple, contemporary bedrooms, good for families. White washed walls, and white everything else, exude minimalist simplicity at this hotel. Set in the heart of the Gothic quarter it provides a peaceful no frills refuge from the hustle and bustle outside. A great place to stay, for less. An excellent alternative for those on a smaller budget. Contemporary chic rooms and suites, some with private terraces and hot tubs. A comfortable choice for a weekend escape to Barcelona. 12th Century rectory with stunning views. The interior is an impeccable blend of original features and modern touches with exposed beams, white washed walls and bright splashes of colour. The restaurant reflects the owners' Catalan and Scottish roots. Off the beaten track foodie hideaway. Sights nearby - Visit the beautiful cathedral city of Girona. A gorgeous collection of rooms and apartments in an historic building. Chic sunlit interiors have parquet floors, exposed stone walls, attractive furniture, some with private balconies. A great choice for groups, families, and local explorers. Futuristic design is the order of the day in this hotel. Expect to feel space age with the hotel's adornment of mirrors, glass, bouncing reflections, and radiant whiteness. Nevertheless, this does not undermine its comfort. A well located city-style destination. Views - Great views from the ninth floor - book a Privilege Suite. A chic hotel set in the rolling hills. Rooms are light and contemporary, featuring white furnishings, stone walls and large bathrooms. Fantastic regional cuisine, stunning outdoor pool and gardens filled with climbing plants. An ideal hotel for exploring the area or relaxing in the surroundings. Popular and affordable boutique hotel with 43 simple rooms. Chic comfort, authentic local architecture, good central location. Modern library, boldly designed rooms, sunlit terrace. 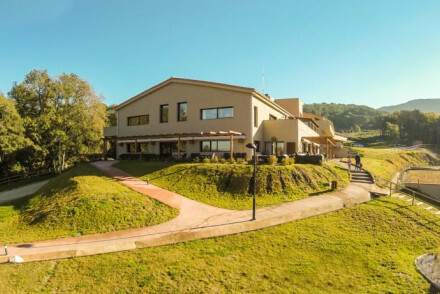 A rural hotel on a hill with stunning panoramic views. Contemporary chic rooms have all the mod cons, private balconies, and lots of natural light. Good restaurant, gardens, and swimming pool. A perfect country escape with all the bare necessities. A beautiful hotel just outside Alcanar and 200 metres from the beach. Contemporary chic rooms, suites, and family suites with mountain or beach views from private balconies. Excellent seafood restaurant, gardens and pool, and its own organic farm. A perfect beach holiday for couples or families. Sights nearby - The bustling fishing port of Sant Carles de la Rapita is just a fifteen minute drive away. Outstanding location - Beach, mountains, orange groves. This beautiful Catalan country house is the epitome of romance. Sandstone walls covered in sprawling vines, balconies overlooking gardens of herbs and roses, fountains, and a shaded terrace. A Provencal-esque hideaway for honeymooners perhaps. Restrictions on children - Only children aged 12 and over are allowed. Sights nearby - Graeco-Roman ruins nearby, Dali triangle. 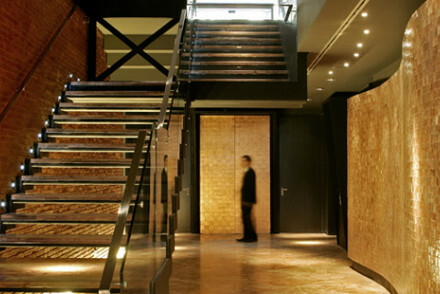 A modern hotel in Girona's historic centre. Bright rooms and family rooms all in white with splashes of red. Excellent business facilities, indoor pool, bar and restaurant. A great value choice for those on a budget. Sights nearby - Central location a few metres from the iron bridge and short walks from the Cathedral and Arab baths. This new renovation is set back a bit from the bustle of the central tapas-lined streets. 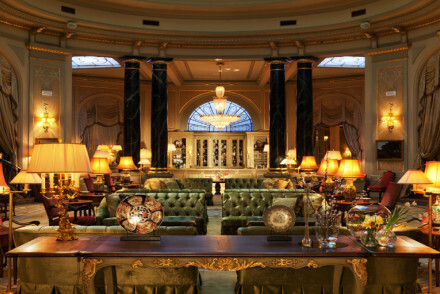 Its peaceful location and classical rich textures - marbles and leathers - makes it more of a family affair. But, African zebra-wood floors, Buddhist art, and restaurants make it no less glamorous. Renovated 18th Century townhouse at the heart of the Borne District, Old Town. Casual yet elegant style and ambience. Crisp, airy rooms with contemporary furniture and muslin curtains exude comfort. 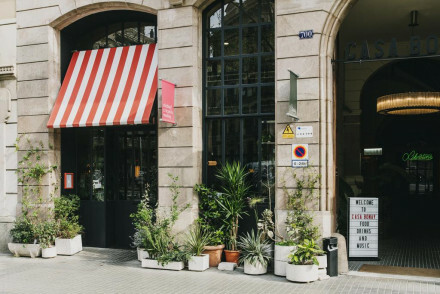 Senyor Parellada is the family-run Catalan cuisine restaurant, popular across town. A Barcelona Gem! Sights nearby - Santa Maria del Mar is less than a minute away. 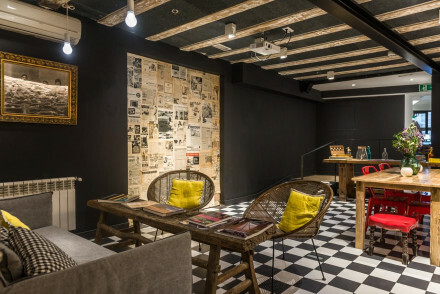 A quirky but chic hotel in the historic heart of Girona. 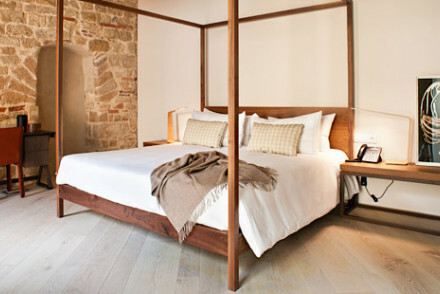 Romantically styled bedrooms with light stone walls, parquet floors, attractive fabrics, and large bathrooms. Lots of character and a warm atmosphere. chic&basic Ramblas has wholeheartedly embraced the Barcelona of the 60s. Each floor pays homage to one particular culture of the decade and all bedroom doors are adorned with photograph and text, creating a gallery like feel to corridors. Superb location and trendy feel. Great value city break pad. Fantastic sea front hotel with crisp nautical themed rooms and an excellent fish restaurant. Excellent value and perfectly positioned for a beach holiday. Low key, family friendly, and lots of activities around. Hotel in 9th century castle. Large rooms feature antiques, traditional furnishings and drapes, interior stone walls. Gym, sauna and sunny courtyard. 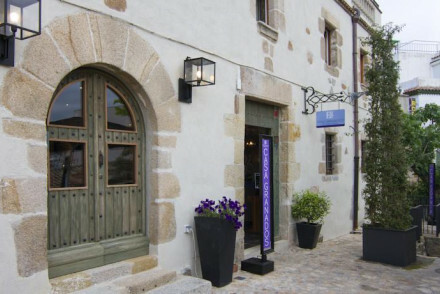 Great Catalan menu in the Medieval dining room and elegant bar. Quiet, atmospheric and unique. 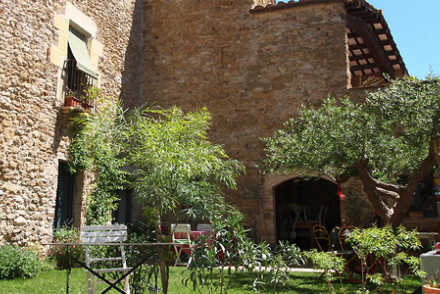 Just a short walk from Las Ramblas, Hostal Grau is a charming eco hotel. 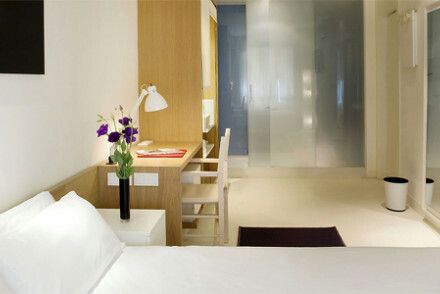 The rooms are stylish and comfortable with crisp white interiors and minimalist furnishings. Enjoy a cocktail at the bar before heading out into the bright lights of Barcelona. Sights nearby - Five minutes walk from the Plaça Catalunya. Local markets - Visit the nearby Boqueria. Magnificent 18th century mansion converted into high-tech futuristic hotel. High ceilings, adjustable LED coloured mood lighting, minimalist decor. Funky and fun. Near museums and boutiques in lively Born district. Sights nearby - Check out the The Parc de la Ciutadella at the end of the street, to explore the Parc Zoologic and the arboretum. Local markets - Visit the incredible Santa Catalina food market, just a short walk away. Restrictions on children - Children older than 12 years are welcome. A traditional farmhouse with fresh contemporary interiors. 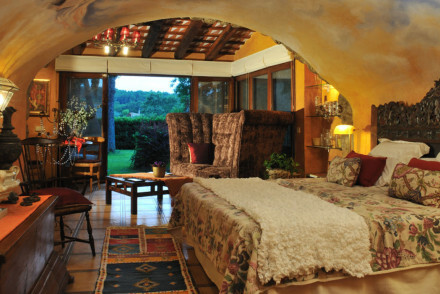 A charming hotel with its own vineyards and wine tasting, verdant gardens, swimming pool, and very close to the beach. 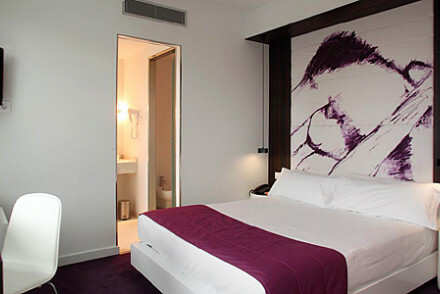 Rooms and suites are light and airy with white washed walls and splashes of modern art. Sights nearby - Archaeological site of Empúries, Sant Pere de Rodes, medieval villages of Pals and Peratallada, old town of Girona. 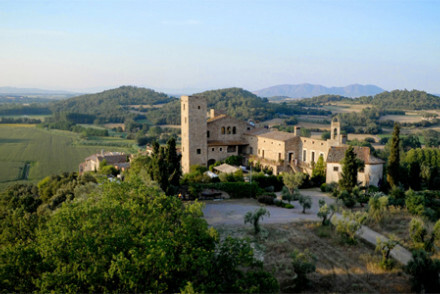 Great walks - In nearby vineyards or olive groves. A stylish relaxing country get-away on the shores of its own lake, surrounded by Schierbeck Park, and framed by the Catalan Pyrenees. 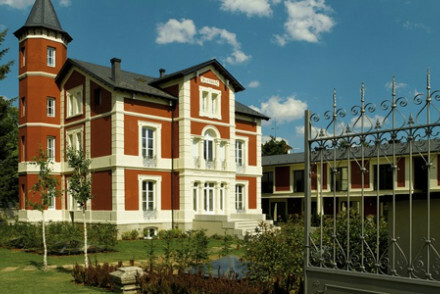 An art-nouveau mansion with fantastic spa facilities and a gourmet restaurant. For those who like the fine things in life. Foodies - A fine dining restaurant with an exciting menu. Wellbeing - Somewhwere to relax at the weekends. Active Holiday - Great base for outdoor activities. Spa breaks - Wonderful spa facilities. 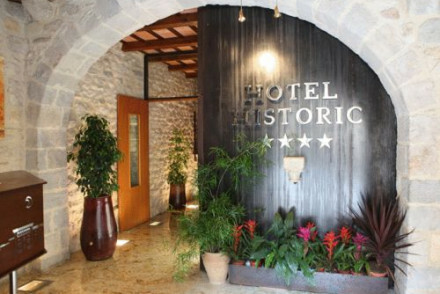 An historic country house come hotel with artistic flair. Individually decorated rooms in themes of philosophers. Stone walls, pretty fabrics, attractive linens. Wonderful courtyard bar and lounge area, restaurant and garden. A great place to explore the region from. 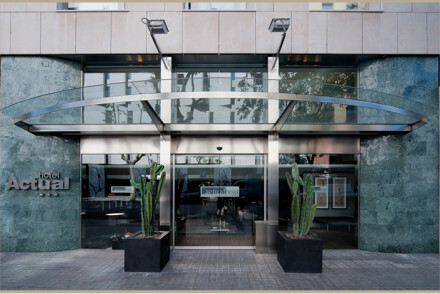 A contemporary hotel with excellent value rooms and highly recommended restaurant in central Barcelona. Varying rooms (single, doubles, triples) accommodate groups, couples and families. A great choice for those on more of budget. A lovely country house hotel in a tiny village within striking distance of beaches. Sunlit rooms and suites have stone walls and garden views. Excellent restaurant, terraces, pool and garden. A great choice for total relaxation in the countryside. Sights nearby - Greek and Roman ruins at Empúries. An elegant adult only property set in the heart of Palafrugell. Light and airy rooms feature pale wooden floors, luxurious contemporary bathrooms, floor to ceiling windows and soft grey hues. There's a small courtyard pool ideal for unwinding after a day spent exploring the region. Local exploring - Located in the center of Palafrugell and in the heart of Emporda, ideal for exploring the region. Great walks - Stroll through the picturesque botanical gardens of Cap Roig. Diving - Scuba diving expeditions set out from nearby Llafranc. 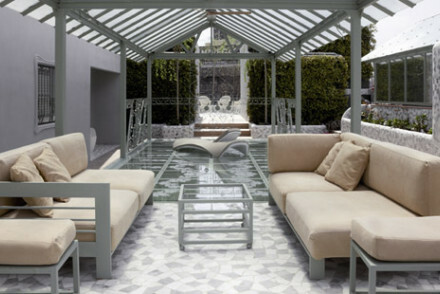 Stylish and tastefully designed modern boutique hotel just 40 mins from Barcelona and in the shadow of Montseny Park. Elegant rooms are individually styled and all have access to a private terrace. The best have hydromassage showers and whirlpool baths. A luxurious base to explore the region. A historical building with calming modern interiors. Situated in the heart of the city. Large rooms are simple yet stylish. Extensive facilities include cocktail bar with music, modern meeting rooms and access to a nearby gym and spa. Ideally placed for moving around the city. 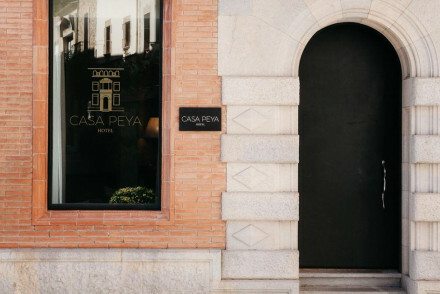 City Style - A chic 1917 hotel in central Barcelona, boasting sophisticated and modern rooms with hardwood floors and a cosy bar. Sights nearby - Just a ten minute walk from Gaudí’s Casa Batlló and La Pedrera. 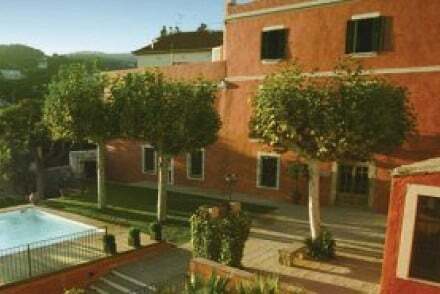 Located just outside of Barcelona in the Roman spa town of Vallromanes yet with a completely rural feel. Modern yet rustic throughout. Sunny rooms have parquet flooring, warm hues and antique furniture. An expansive spa is totally spoiling. 100% organic produce and sustainably run. Very chic. Families - A family-friendly hotel with plenty of space to entertain little ones and a babysitting service on offer. Sights nearby - Within Vallromanes explore the Aire Ancient Baths, Roman church and Neolithic remains. Great walks - Miles of scenic hiking trails to be explored. Sophisticated and chic modern design in a beautiful neoclassical building. Contemporary rooms and suites have state of the art technology, monochrome decor, and huge bathrooms. Award-winning restaurant, pool and jacuzzi. 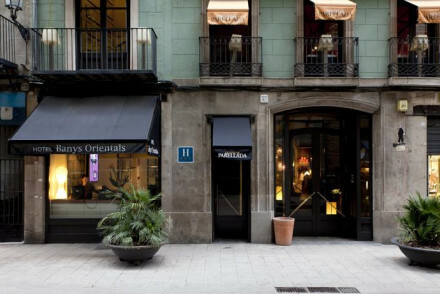 A stylish choice in Barcelona's historic centre. 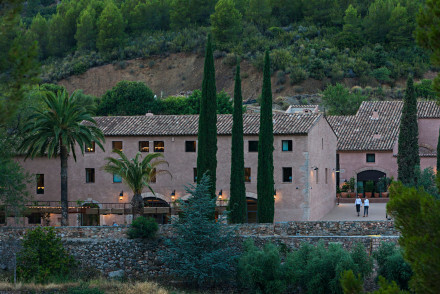 An elegant hotel and former monastery in the heart of Costa Brava. Rooms are individually styled but all are light and spacious and mix contemporary and modern design. Boasting a spoiling spa and restaurant serving dishes of the region. A luxurious stay just fifteen minutes drive from the beach. Total relaxation - A spoiling spa offers a number of treatments and top of the range facilties. Sights nearby - Visit the nearby Sanctuary of Sant Pere del Bosc. 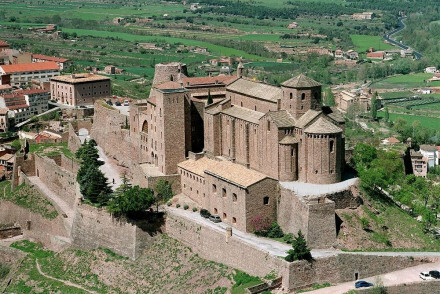 This beautifully restored historic castle has also rekindled an elite form of luxury. Incomparable views from the rooms, terraces, and swimming pool of the vineyards, valleys, and herb gardens around. Opulence and wellbeing in an outstanding location. Historic - A former crusader's castle that was owned by one of Colombus' captains. Views - Across the gardens and chapel - stunning. Outstanding location - Between the Pyrenees and the Costa Brava. Roof terrace - Wonderful views of the surrounding area. 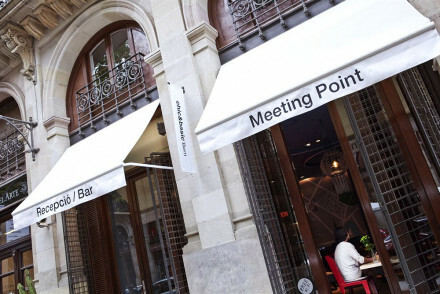 Bed and Break enjoys a central location in Barcelona, just a short distance from many of the city's sights. It offers four smartly decorated rooms which all come with queen sized beds, a TV and some even have their own balcony-perfect for a morning coffee in the sun! A charming and intimate stay. Local exploring - The hotels central location allows one to head off on foot to take in all that this cultural hub has to offer! Local markets - Barcelona's famous La Rambla marketplace is a must-visit! Snazzy three star boutique in a fantastic downtown location. The minimalist rooms are comfortable and chic. City views from the roof pool terrace are enticing for a day of relaxing in the sun. The Jazz Bar on the eighth floor is a popular hangout. Great walks - Eixample is a beautiful barrio to wander round, take in the architecture and people-watch from one of the many terrace cafes. Local markets - One of Barcelona's most popular attractions is the lively and colourful food market, Boquería. 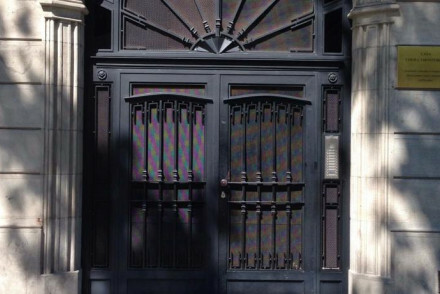 Sights nearby - Eixample is famously home to the many of Barcelona's art nouveau masterpieces. Swimming Pool - Rooftop pool with great views. Restored farmhouse in mediaeval Madremanya. Rooms are individually designed and feature exposed stone walls, tiled floors scattered with Persian rugs and four poster beds. Romance is the raison d'etre at El Raco; it is an adults only retreat with the emphasis on peace and relaxation. 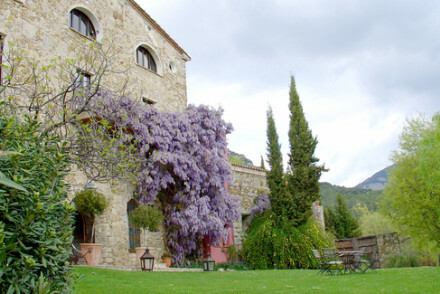 15th Century country house B&B set in stunning gardens and with views of Madremanya village. Three rooms are rustic and charming and self catering houses are perfect for families or small groups. Lovely outdoor pool and plenty to do from cycling and walking to exploring further afield. Local markets - La Bisbal market is 15km away. A large 1920s building renovated with subtle minimalism. An elegant atmosphere and lots of natural light. 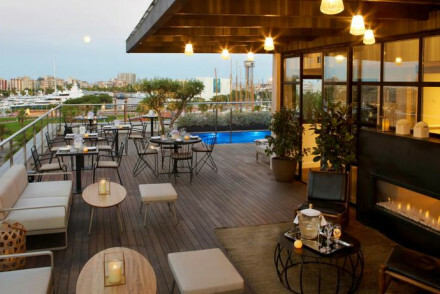 Its Michelin-starred restaurant, celestial views of the city from the roof top terrace, and central location make it a haven for those on an escape to Barcelona. Restaurant - 2 Michelin stars and outside the hotel, a few metres away. Roof terrace - Views over the city, plus swimming pool. Views - Views of the Gothic district and ancient city walls. 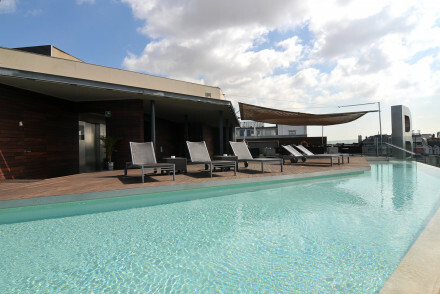 A comfortable contemporary hotel with stunning roof top terrace pool and excellent business facilities. Modern rooms with state of the art high techery and lots of natural light. A good value choice for any traveller. Anakena House is located in Barcelona's Eiample district around the corner from many of the sights. 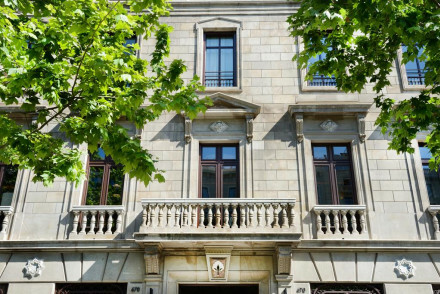 This 20th century property is part of Barcelona's "Golden Square" and the interior renovation work has preserved the typical modernist style, providing an elegance from another era. A great city spot! City Style - Anakena House breaths understated elegance from velvet armcharis to private balconies, chandeliers and gilded mirrors. 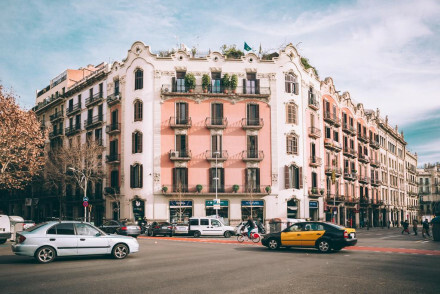 Great walks - Meander through the city's streets, head to La Rambla or walk along the beach at sunset-what could be better? A lovely Four Star hotel with stunning views over the bay. Sunny rooms and suites in contemporary chic style with private balconies. Great value, close to the beach, and lots to do in the area. Views - Stunning bay views. Modern design blended with original architecture in a quieter area of Barcelona. Contemporary rooms have lots of natural light, parquet floors, and attractive furnishings. Fabulous roof top terrace bar, weekly live music, and business corner. A sophisticated but fun choice. If art is your passion, this intimate hotel with inviting rich fabrics is well placed. The library is full of interest and the enclosed garden and pool add to the charm. You will love to explore Púbol, made famous by Dalí. Take in the history and coastline at your leisure. Fishing - Fishing villages are dotted along the Costa Brava coastline. Surfing - Surfing and paddleboarding are popular in the region. Local markets - In true European style - every town has a market. 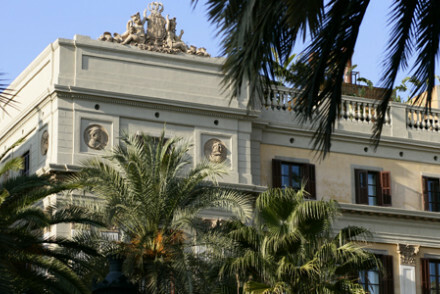 This grand hotel in the heart of Barcelona is an ideal destination for corporate events or a luxury city break. Its extensive art collection and antiques from around the world are the pieces de resistance. Add to that the lofty panoramic views from the roof top terrace. Artworks - Claris owner and art collector has fittted out the entire first floor with artworks. Hindu scultures, Turkish killims. Views - Panoramic views of the city from the roof top swimming pool and terrace. 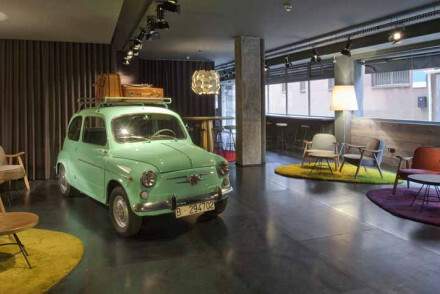 A hip Catalonian hotel located in a small residential lane just minutes from the city centre. Chic rooms offer high ceilings, a choice selection of local furniture and original mosaic tiled floors. Downstairs finds a number of independent outlets and a shaded terrace offers a quiet space to unwind. City Style - A chic urban space in a reassuringly untouristy part of the city. Local markets - A trip to Barcelona would be incomplete without visiting La Boqueria, possibly the world's most famous food market. Sights nearby - A 10 minute walk in either direction will take you to the Sagrada Familia or the Plaça de la Catalunya. An ultra-cool contemporary hotel. Compact rooms, are small but perfectly formed, with all the necessary mod-cons, modern bathrooms and chirpy yellow bed spreads. A rooftop pool and bar with epic city views. Catalan cuisine is served in a cosmopolitan setting. A well located trendy spot. City Style - Wonderously chic with uber contemporary design and an unbeatable roof top pool. Sights nearby - Don't miss Gaudí's famed architectural masterpieces, in particular, La Sagrada Familia, Parc Güell and Casa Batlló. Local markets - Sample local delights at the food market La Boqueria. Swimming Pool - Rooftop pool. 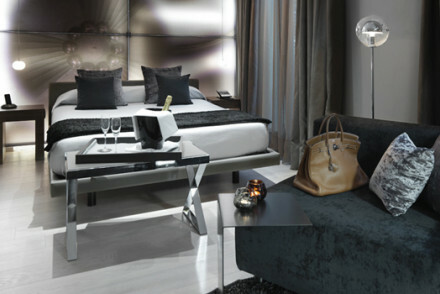 Interior designed (Kelly Hoppen), stylish boutique hotel with an intimate ambience. Variety of priced rooms with timeless but modern decoration. Some with large private terraces. Restaurant, with lively bar and terrace. Well located for designer shopping and city action, use of pool nextdoor. Swimming Pool - Use of Majestic Hotel pool and spa next door. Spa - At the Majestic. 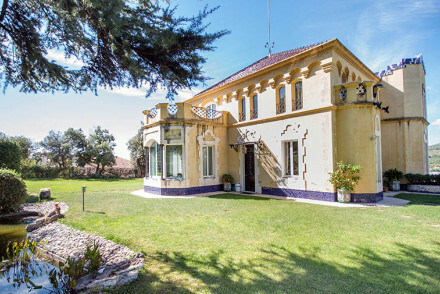 200 yr old mansion in the heart of Tossa de Mar with well-maintained historic features. Elegant rooms showcase the original exposed brick walls and feature parquet floors, rich fabrics and modern artworks. Delicious tapas or Mediterranean cuisine in the courtyard restaurant and a pool! Local exploring - Situated in the heart of Tossa de Mar, Casa Granados is perfectly situated for both beaches and culture. Local markets - Local markets are a great way to catch Catalan life in fully swing. 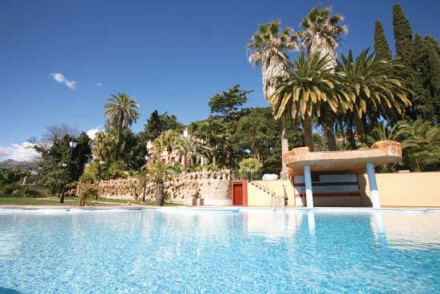 Sights nearby - Tossa de Mar Castle is only 150 metres from the front door. 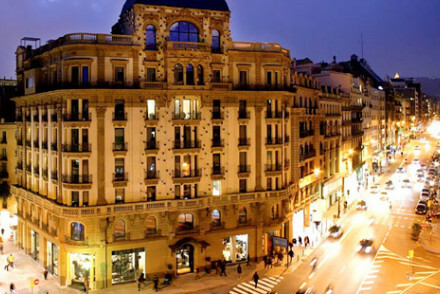 The Palatial Hotel Granvia lies in the heart of Barcelona. Culture, restaurants and 'A list' shopping make up this popular meeting place. Newly refurbished, with a gorgeous terrace, clean cool rooms and contemporary interiors. Exudes style and panache! Sights nearby - Check out Casa Lleó i Morera and Palau de la Música, designed by the brilliant architect Lluís Domènech i Montaner. Great walks - Passeig de Gràcia is a wonderful street to wander along, the iconic cement tiling of the road was designed by Gaudí. A relaxing hotel infused with modern design in a leafy suburb. Spacious living areas, contemporary rooms, suites and apartments, delightful courtyards and an outdoor pool. A sophisticated choice for couples and families alike in a slightly quieter area. Great walks - Park Güell. A rural romantic hideaway. Beautiful country house with boutique rooms with around the world themes - Morocco, China, India, Mexico. Swimming pool, table d'hote, and miles of nature to explore. A romantic spot to explore from. Sights nearby - Medieval Besalu. 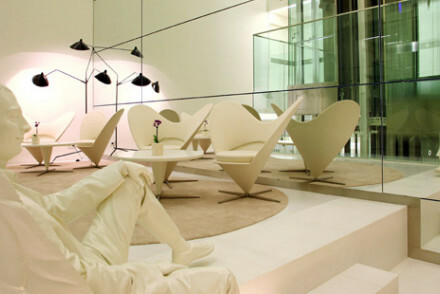 Futuristic minimalism is the cornerstone of this hotel. White rooms, neon lights, space-ship proportions. Very centrally located - minutes from trendy shops and Gaudi's famous buildings. A trendy destination. 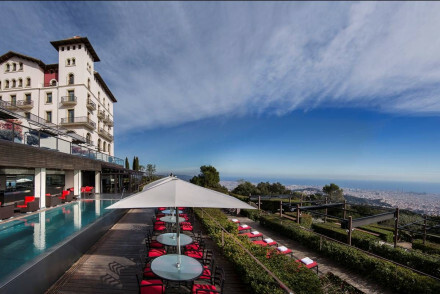 Stunning urban resort offering spectacular views from its unique Tibidabo Hill location. 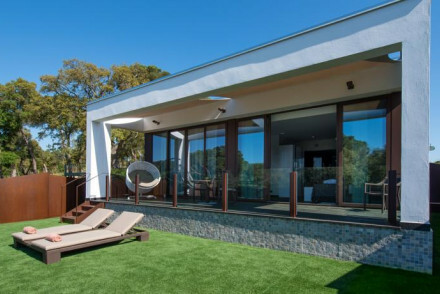 Contemporary, designer rooms ooze luxury as does the large indoor/outdoor pool, the tumbling terraces, bold structures, Zen Zone spa, bar and restaurant. A unique example of life on the Med. Great walks - Resting in Tibidabo hill makes a great place to take a stroll. Sights nearby - Barcelona is 15/20 minute drive away. Swimming Pool - 100 ft pool with panoramic views. Picturesque hotel in 17th century farmhouse. Rooms have exposed beam ceilings, contemporary furniture and bathrooms. Indoor and outdoor pools, massage available and charming gardens. Great Mediterranean cuisine. Quiet, pretty and chic. Explore this 1704 boutique in Regencós, the heart of the Golden Triangle of Baix Empordà. Adult-only retreat in rural surroundings is home away from home with kitchen gardens, lounging areas in the garden and a pool to spend your days. Contemporary meets classic decor in the rooms. A fantastic find! Cooking classes - Eco-cook workshop avaliable at Can Casi - using produce from their very own garden. Local markets - Head to the local markets to get into full swing of Catalan life. Kayaking - River or sea - rent a kayak and soak up the scenery. 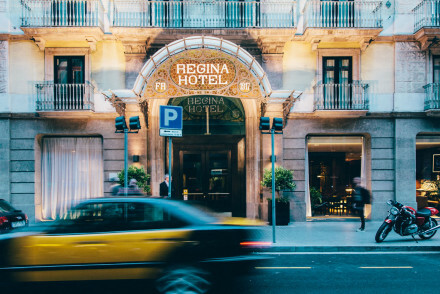 Contemporary and chic, this family-run hotel in Barcelona's cultural hub is perfect to explore the city. Stylish renovated rooms can be small, but are cosy and great value for the prime location. The lively rooftop terrace with bar showcases city views and relaxed vibes. 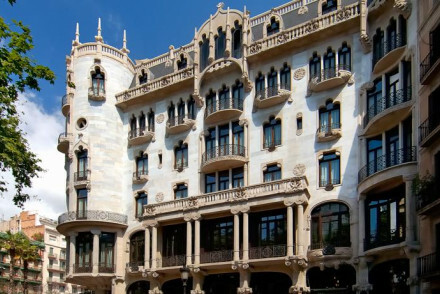 Sights nearby - The Casa Calvet de Barcelona (1899) is one of Antoni Gaudí's earliest buildings. Local markets - Enjoy the local markets at your leisure on the weekends. Fabulously romantic hotel oozes historic charm, boasts two fantastic restaurants, a sumptuous spa, and wonderful views from stepped terraces. A neoclassical building home to beautiful rooms and suites with parquet floors, four poster beds, private terraces, some with pools. Romantic and gourmet. Foodies - 2 fantastic restaurants. The most notable aspect of this modern hotel, other than its futuristic twist, is its Michelin-starred restaurant, which people flock to. 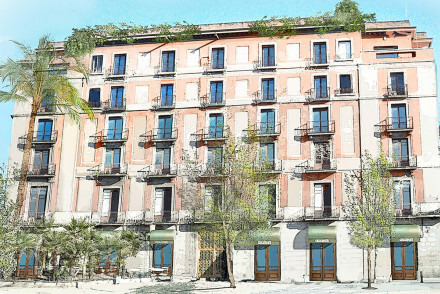 In a great location not far from the Passeig de Gracia, the Plaça Cataluña, and the Ramblas. Views - From the roof top. 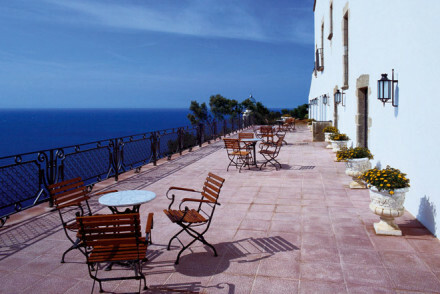 A gorgeous little hotel on a cliff top surrounded by coves with stunning sea views. The traditional building has romantic chic rooms and suites in pastels with private balconies. Excellent fish restaurant, terraces and patios, and lots to explore in the surrounds. Here, avant-garde design and a cosmopolitan air are highlighted by natural light flooding through floor to ceiling windows. An urban oasis in the perfect location to explore Barcelona from. A hip destination. A wonderful retreat offering a Michelin star restaurant, state of the art spa, beautiful gardens, and romantic bedrooms and suites. Rooms and suites have four poster beds, all the mod cons, and antiques. A great spot for a romantic getaway or a wedding. Foodies - Michelin star restaurant. 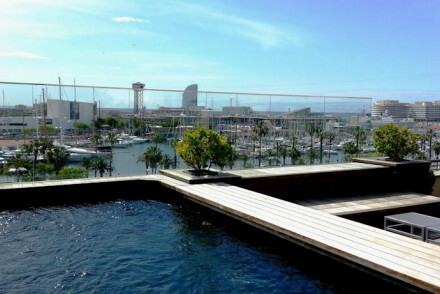 A massive urban resort with stunning pools and mediterranean gardens in the city, a short walk to Camp Nou. Tranquil ambience, with modern designer interiors. Rooms have good natural light and views over the city. Not central, but a short bus ride away. Garden - Attractive outside space. Very cool, very modern Five Star hotel. Sultry modernist rooms and suites have all the high techery, private balconies and huge white bathrooms. Stunning roof top terrace bar/lounge, excellent spa, and friendly service. Barcelona in style. An immaculately decorated luxury hotel - Madagascar ebony, deep colours, minimalist undercurrents. A contradictory fusion of the Gothic and the minimal, but it definitely works. Each room displays an exclusive piece of the Masriera Art Collection. One for city leisure. Forward thinking modern design in an historic defence tower in Barcelona's Gothic quarter. 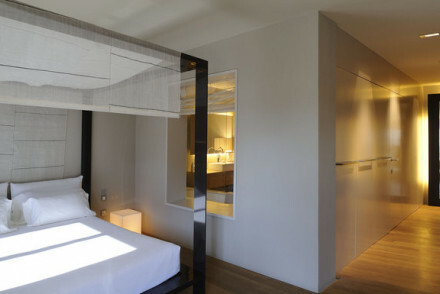 Pristine rooms and suites have exposed stone walls, glass partitions, stand alone bath tubs and splashes of modern art. Stunning roof top bar and tapas restaurant. City living in modernist luxury. Gorgeous Five Star hotel in a Gothic building in sleek modernist style. Roof top terrace pool and bar with stunning views over the city is the piece de resistance. Light filled rooms and suites have parquet floors, modern gadgetry and stand alone tubs. Michelin restaurant and spa. Roof terrace - With stunning views over the city's domes. 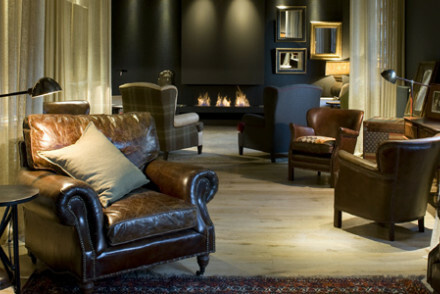 17th Century farmhouse turned boutique hotel in a serene, intimate setting. 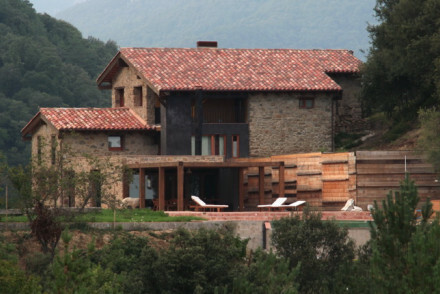 Thick stone walls and exposed beams maintain its old Catalan beauty, and are stylishly complemented with modern decor. The kitchen garden provides fresh produce for the restaurant. Ideal for poolside relaxation or exploring. 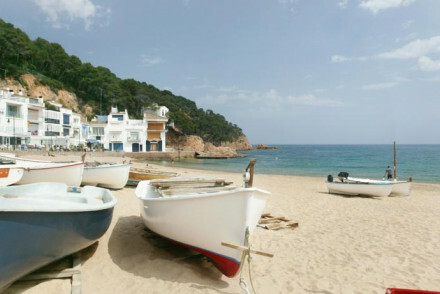 Local exploring - Ideally situated for exploring the best of the Costa Brava from its culture to the gorgeous beaches. Sights nearby - Absorb some Grecian culture at Sant Pere de Rodes monastery or the old Greek city of Ampurias. Renovated palace combining contemporary city chic and country resort. Modern luxe and gastronomic vibrance meets luxury spa and landscaped gardens. A unique city experience that successfully blends stylish modernity with countryside relaxation. 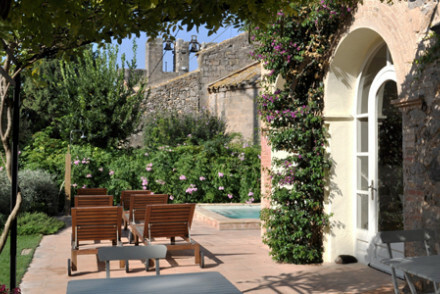 15th Century mill turned idyllic spa hotel set in manicured gardens with pool, a stone's throw from the Med. Avant-garde architectural design effortlessly combines the modern with the traditional and huge windows in the contemporary rooms allow wonderful vistas. Ideal for both beach & inland. Hideaway - Set in beautiful rural location, the property is ideal for those who like to be off the beaten track. Local markets - Head to down to Torroella de Montgri on a Monday morning and you will see the market in full swing. Sights nearby - Torroella de Montgrí is a cultural centre and if you love ceramics visit La Bisbal d' Emporda. Idyllic 5* country house hotel walking distance from the beach. Elegant rooms have four poster beds, enormous marble bathrooms and views over the garden. Outdoor pool, terrace, massages available. Excellent, locally sourced cuisine. Romantic, chic and pretty. Historic hotel with a romantic rooftop terrace and panoramic views of the city. Colonial-style rooms and open spaces. Restaurant, rooftop swimming pool, spa, and cinema. ABac is not just a Michelin-starred restaurant with rooms - it also boasts a luxurious spa and its rooms are designer. A welcome destination for extravagant relaxation and cuisine loving in a sleek environment. Stylish property in Catalonia perched serenely beneath mountains and framed by Cyprus trees, offering elegant rooms and suites. 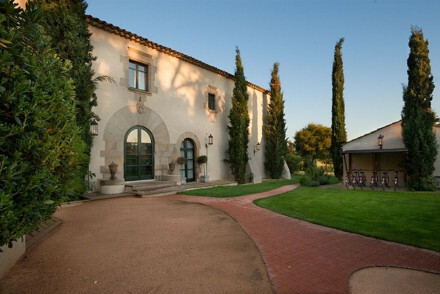 A renovated monastery and winery, it has an outdoor pool, wine cellar and a restaurant. A sophisticated countryside escape set within a natural park. Country Escape - A chic rural base and working farm set in beautiful countryside. Cooking classes - Learn to cook dishes of the region in the hotel's cookery class. Swimming Pool - An outdoor swimming pool. A chic hotel in the heart of town. Simply designed suites are a minimalist's delight with white on white style, clean lines and in-room baths. An open lounge and breakfast area decorated with plenty of indoor plants is perfect to grab a coffee and pastry or settle into a cocktail or two. Fabulous. Local exploring - Well located with many of the cities main attractions within walking distance. Sights nearby - Find Gaudí’s La Pedrera just down the road and be sure not to miss the Barcino (remains of the Roman walls). Great walks - Head to Jardins Mossen Costa I llobera for a stroll and marvel at the extraordinary plants. Local markets - Wander down Las Ramblas and sample the regional fare in the Boqueria market. An iconic, beautifully decorated 1920s hotel. Elegant with chandeliers, paintings, and classic interiors. Michelin starred restaurant, luxury spa, rooms with state of the art technology. 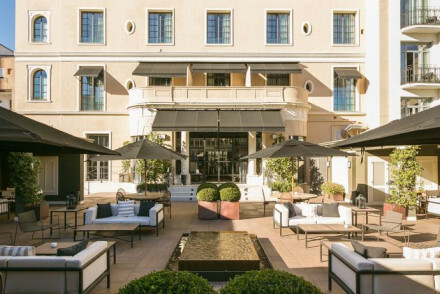 This centrally located 5-star hotel & spa with its Neoclassical facade and elegant modern interiors is a sophisticated base from which to explore the city's gems and exclusive shops. Its restaurant boasts a gastronomical menu and its hip roof-terrace poolside bar offers breathtaking views. Sights nearby - Marvel at the buildings of architects Antoni Gaudí and Lluís Domenech i Montaner on the Paseo de Gracia, a World Heritage Site. Swimming Pool - Pool located on the roof terrace. 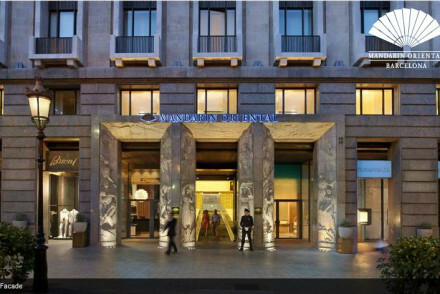 Modern 5* luxury in the heart of Barcelona. Interiors are decadent as is the rooftop pool. Spacious rooms house modern features and bathrooms. There is a Viennese cafe, Mediterranean restaurant, and a swinging jazz club. A lively hotel with a popular bar for locals and tourists. Sights nearby - Just off one of the main veins of Barcelona - Diagonal. Trendy, eco-friendly design boutique hotel in a fabulous location. Comfortable and minimalist rooms are bold in colour. A 24-hour complimentary buffet and fully-equipped gym are a nice addition. Perfect for all the family to explore the markets, museums, and shopping. Sights nearby - Explore the nearby Gothic Quarter, with its wealth of hisotric Roman buildings and charming ancient squares. Local markets - La Boqueria Barcelona's iconic and colourful public market, is just a few minutes away. A beautiful small palace built in the style of Gaudi. A majestic setting between the Pyrenees. Stunning gardens, large contemporary classic rooms and suites, fabulous cuisine, and lots to do in the mountains. Family friendly, romantic, scenic, gourmet. Traditional - Built in the Art Nouveau style of the time of Gaudí on the pilgrimage route to Santiago de Compostela. A rural, intimate retreat nestled away in manicured gardens with pools and spa and gorgeous mountain views. Modern, independent rooms with gardens offer privacy yet the proximity of a restaurant, bar, pitch and putt. Relax in the salt cabin, or explore the local area. Truly something for everyone. Sights nearby - Head to Calella to capture the essence of an old Catalan fishing village. Visit Dali's house or go on the Dali Trail. Local markets - Weekly markets are a great way to see the local produce and get a real taste of the area. Great walks - By foot or bike explore Lake Banyoles and the visit Neolithic sites there. This traditional wine resort is not just fantastic for the fruits of its 250 acre vineyard. Relax in the wonderful spa and dine in its gourmet restaurant. With extensive grounds and spaces for entertaining it is the perfect place for group wine-tasting or impressive corporate events. Business meetings - 247 acres of outdoor space, parking for 100 cars, outer patio for marquees, interior patio, heliport, two fields for activities. 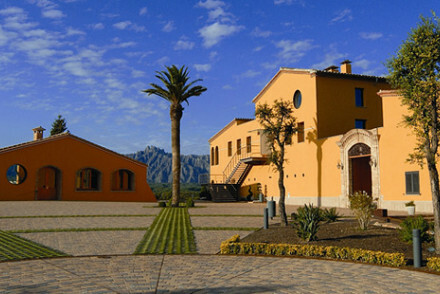 Gourmet - Fine dining restaurant and extensive vineyards that provide 13 different wines for tasting. Eco break - The estate is fuelled by solar power and rain water. Resort - Wine resort, 250 acre estate. 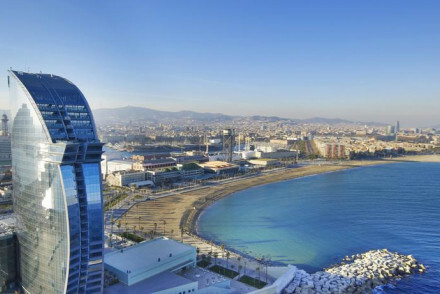 The Serras is a fantastic five-star hotel overlooking Barcelona's marina, in the Gothic quarter. Awash with contemporary style and chicness, the hotel's building has the distinction of being where Picasso began his art career. A stellar option in the Catalonian capital. Foodies - Indulge yourself with delightful Catalan sharing menus by Michelin-starred chef Marc Gascons, and poolside nibbles on the roof. City Style - Uber chic loft-style interiors with wood floors, soaring ceilings, white minimalism and graphic black-and-white Catalan tiles. Sights nearby - Less than two miles from the Sagrada Familia, a must for any new visitor to Barcelona. Local markets - Head off to explore the local beach and food markets of Barcelona. 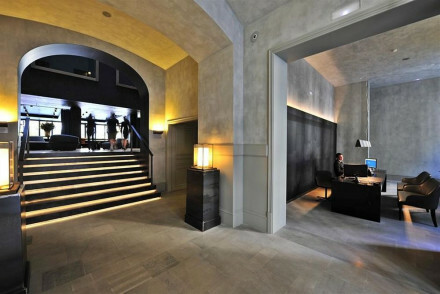 Barcelona's trendiest new hotel, Soho House ticks all the boxes. Central location, great food, a gym, spa, oh and most importantly: a rooftop pool. You'll want for nothing and it's got a price tag to match. Mingle with the trendsetters of one of Europe's coolest cities. 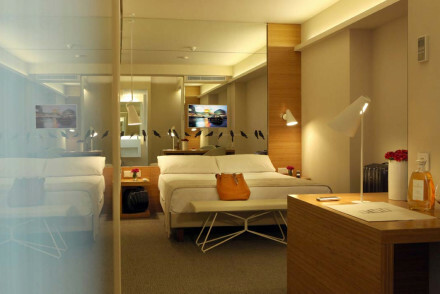 Stylish upmarket design hotel. Magnificent garden terrace with food and cocktails. Rooftop dipping pool with city views, bar, spa, and Michelin-starred restaurant. Light and airy rooms and designer suites. This super chic hotel is a hive for young and trendy visitors to the city. Its light airy rooms, Michelin-starred restaurant, rooftop pool and terrace, spa, and very own night club make it a very happening place. Other Activities - The hotel has its own night club and live music every night. City Style - Hip, trendy, artistic. 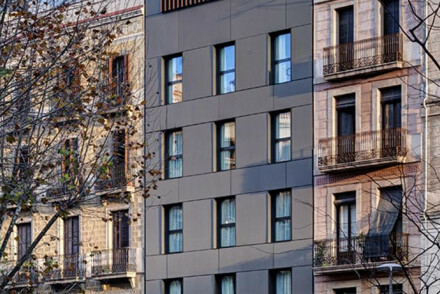 Cotton House enjoys a prime location in central Barcelona. This luxurious, upmarket accommodation blends traditional architecture with bold modern features. Curl up with a book in the library, lounge by the pool or relax with a drink on the terrace! An utterly stunning city spot. Romantic Break - Luxurious accommodaiton, a top location and one of Europe's finest cities on your doorstep-what more could you ask for? Local exploring - Make sure to see and experience all that this cultural hub has to offer! A slice of contemporary chic out on the peninsula of Barcelona. The Burj-like building on the beach front has spacious rooms and suites with floor to ceiling windows and state of the art high techery. Excellent facilities; gym, spa, terrace bar, restaurants, business centre. A youthful choice. 17th Century palace meets 21st Century comfort. 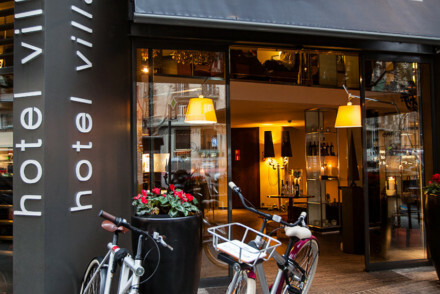 Located in the Gothic district this boutique hotel enjoys a central spot. Contemporary style and romance is combined through the use of crushed velvets, bright silks and rustic furniture. Fashionable restaurant and bar with terrace and a library. Sights nearby - Right by La Seu - Cattedrale di Barcellona. This hotel would be better described a collection of luxury apartments. 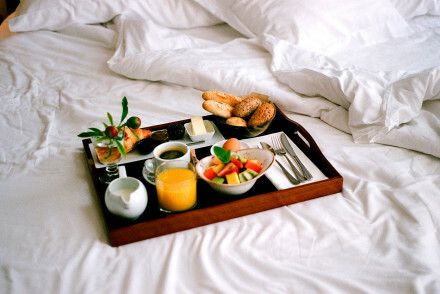 Each is served all day and all night by your very own personal assistant at your beck and call. The interiors are uniquely designed - Baroque inspired but with modern finishings. An extravagant destination. Concierge - 24 hour, personal assisant solely for you. Architectural landmark doubles as a luxury hotel with spectacular sea views, contemporary interiors and modern gadgets. There are terraced gardens, a beach-front swimming pool, five restaurants, a spa and a contemporary art collection. A perfect city spot: beaches and cultural on your doorstep. Sights nearby - Discover Gothic churches and Roman remains in the winding alleyways of the Barri Gòtic.